at first glance looks like it could be a kiddies toy, but at 11lb this little blighter has a neat little trick up its sleeve, in that its able to leap 30 feet in a single bound. Sand Flea Robot has an on board computer that helps navigate direction and manages the dynamics of its behaviour with automated reasoning it regulates its perception of upcoming obstacles as conditions vary. So far as we know for certain, Earth's only natural satellite, is the moon and its a cold, dry orb whose surface is studded with craters and strewn with rocks and dust. Year in year out, the moon never seems to change. Craters and other formations appear to be permanent now, but the moon didn't always look like this. 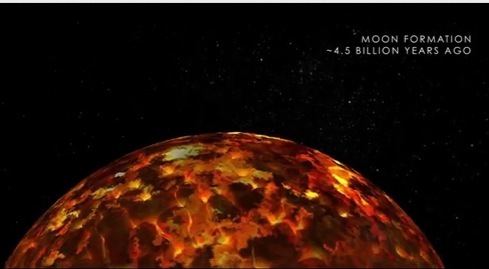 Kind of like an imaginary planetary firework display, NASA's Goddard Multimedia team, has created an absorbing video animation of the last 4.5 billion years geological history of the moon, courtesy of NASA's Lunar Reconnaissance Orbiter. 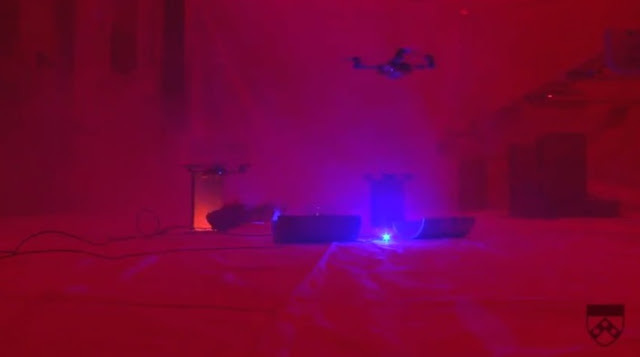 The first 30 seconds of the staged video however, has a dramatic sound bed piece to set the scene for the eight flying robot quadcopters. 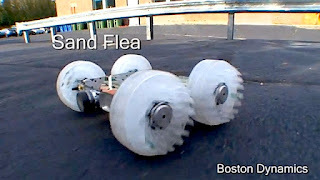 These toy scale flying bots are completely autonomous, meaning that they are controlled by a computer programmed with instructions to play the instruments.